Goodreads Summary: Jenna Oliver doesn’t have time to get involved with one boy, let alone two. 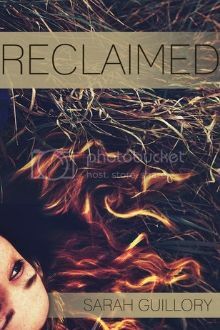 I'm very excited to have Sarah Guillory here today, talking about her fabulous book Reclaimed. If contemporary books are your thing, or even if they aren't, this is one book you don't want to miss. 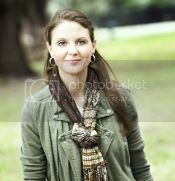 Please take a few minutes to read what Sarah had to say about finding ideas for her books! Sometimes, when mommies and daddies really love each other – oops, wrong explanation. So I guess it’s usually the second question, but everyone always wants to know where I get my ideas. I don’t blame them. I wondered the same thing before I started writing regularly. But as most writers know, it’s not getting ideas that’s the problem. It’s shutting them off. The idea for Reclaimed came from two separate dreams months apart. I know – how cliché. But it really is true. Several years ago I dreamt I was kissing my husband when another man (in my dream it was his twin brother and my fiancé, though in real life my husband has only sisters) walked in. It was at this point that I realized I was with the wrong brother. And an idea was born. Except when I first envisioned my story, my characters were in college. And it was only told from the boys’ POV. My girl character was a plot device, and I hated that version. Luckily, I only ever started working it out in my head. When Jenna finally came to me, I knew I had the story I wanted to tell. I have a notebook of stories I want to tell. I just finished revisions on the first of a trilogy. I’m outlining a secret project that I started working on over a year ago. I have the first paragraph of a novel I tried to write three years ago but wasn’t ready to just yet. I have enough ideas to not ever have another one (God forbid) and still keep me busy for the next ten years. If you follow my blog, you know just how often I compare writing and running. They are both things I do daily, and there are so very many similarities between the two. I’ve run six marathons, and let me tell you, you won’t ever run a marathon if you don’t start running. You can sit around and dream of crossing that finish line, but until you lace up your shoes and actually get out on the road, it will remain only a wish. The same is true for writing. Ideas are a process too, and unless you are writing, those ideas won’t come. So write about anything and nothing. Let your brain wander. Start a scene with a giraffe and let the words meander along until you have turned it into a space opera. Just write. If you do that, I promise you, the ideas will come. And then you’ll just have to figure out how to find the time to write them all. Don't miss a single stop on the Reclaimed blog tour!